It's oftentimes said dogs are man's best friend. When it comes to law enforcement, though, the K-9 police dog unit plays an integral role in maintaining the public peace and keeping everyone safe. They are just as much a part of the police force as the officers who patrol the streets and investigate crime scenes. The domesticated dog has been around since at least the Ancient Greek and Roman times, and this relationship with man eventually led to their service in upholding the law. Law enforcement agencies have had dogs as part of the service for over a century. Formal police training started around 1899 in Ghent, Belgium. The use of dogs by police departments really gained in popularity in the United States starting in the 1970s. Both males and females are used as police service dogs though some trainers may prefer one over the other. Typically, dogs don't start their police training until they're between 12 and 15 months of age. That's when they become mature enough to concentrate. Dogs that are acquired for police work are not necessarily spayed or neutered. It is ultimately up to the local police department to decide if they would like to take such action. While K-9 units have been around since ancient times, the term K-9 (a homophone for "canine") didn't enter the common usage until World War II. The K-9 Corps of the American Army led to the term being adopted by local police departments. Some police dogs have been equipped with metal teeth, sometimes made from titanium. This is not necessarily to make for a more vicious bite; the teeth of service dogs can become damaged or broken from intense training and work. Metallic teeth can prolong their working lives. Police dogs generally do not get paid. However, their basic expenses, like food and medical care, are covered by the department and the handler may receive some additional salary to cover incidentals. They may also receive a pension upon retirement. Just as there are a number of different breeds that have taken on a number of different roles in society, not all police dogs are exactly the same either. Some breeds are more popular than others, but it really comes down to training. The most common breed among police dogs is the German Shepherd, generally heralded for its intelligence and ability to handle high-stress situations. The "police dog" in the popular children's program PAW Patrol is a German Shepherd named Chase. A smaller cousin of the German Shepherd, the Belgian Malinois, is also oftentimes used for police and military work. Cairo, the dog that accompanied Seal Team Six in the Osama bin Laden raid, was a Belgian Malinois. Not all police dogs are large and fearsome. 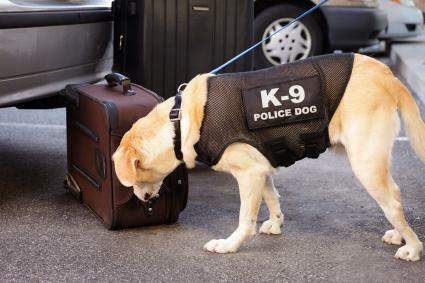 Beagles are sometimes used by Customs and Border Protection officers not only to sniff out bombs and drugs, but even overseas food. Bloodhounds are terrific at tracking a scent, and they don't bite. They're great for missing persons cases as they can still track a scent weeks later. The size of the average police dog will vary depending on the breed. Active duty German Shepherds typically weigh between 80 and 100 pounds. A single purpose police dog can cost upwards of $4,000 without any training. A dog trained for both patrol and narcotics can cost between $8,000 and $10,000. Beyond additional costs like vet care and annual certification, initial training for a police dog is about $2,000 to $3,000. Full training can get up to $15,000 per dog. The total cost to start a K-9 unit is closer to $20,000 to $30,000. While some service dogs respond to German commands, that's not necessarily always the case. This is partly because some police dogs are trained in Germany and partly because using a different language can help to protect officers. Active police dogs generally go home with their handlers where they are given the same level of care and attention as civilian dogs. They get to "relax" when they are off-duty. Training never ends. Even when they are not actively working, police dogs are learning new skills and gaining new knowledge. Dogs on a police force can serve a number of different roles, all worthy of being showered with praise. Who's a good boy? Individual practices by different precincts will vary, but canine cops are generally "sworn in" as police officers and receive an official badge. 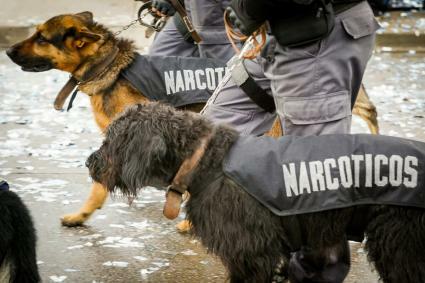 Drug-sniffing dogs can be trained to smell nicotine in e-cigarettes and vape juice, as well as any number of other contraband like marijuana, cocaine, methamphetamine, and more. Several search-and-rescue dogs helped look for survivors at Ground Zero after the 9/11 attacks in 2001, including NYPD German Shepherd Appollo. He was the first search dog to arrive at the scene. Dogs in law enforcement are becoming increasingly specialized, just like their human counterparts. They can work in detection, patrol, pursuit, forensics, investigation, crowd control, search and rescue, and more. The oldest municipal police dog unit in Canada is in Vancouver. It started in 1957 and consists of 15 dog teams working 24 hours a day, seven days a week. The Vancouver Police Canine Unit responds to 10,000 calls per year. A dog from Madrid Municipal Police named Poncho took the Internet by storm when it apparently gave CPR to a "collapsed" officer. Police dogs can and do bite (with up to about 240 pounds of force or more). They are trained to contain potential threats (bite and hold), but they should release if the perpetrator stops resisting and fighting back. 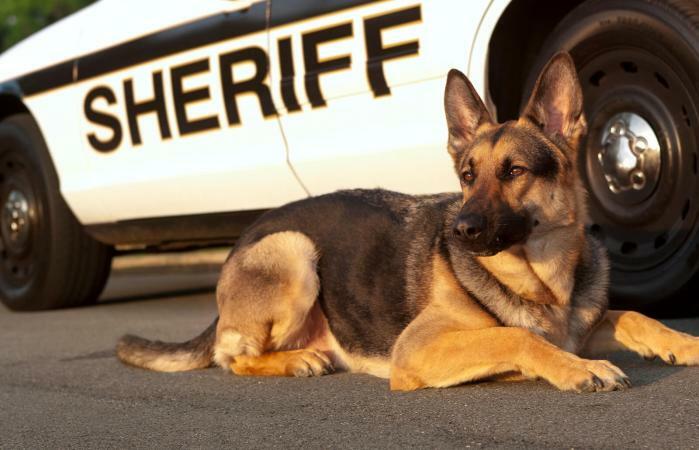 In general, some laws surrounding dog bites also apply to those in a K-9 unit. If the dog was improperly trained or used excessive force on a nonviolent suspect, the suspect may have grounds to sue or otherwise pursue some legal action. Police dogs are just as much in harm's way as their human officer counterparts. Generally, police dogs retire after seven or eight years of serving on the force. There are numerous news stories of heroic dogs who have been shot and even died in the line of duty. The Protect a Hero campaign strives to provide K-9s with bulletproof vests. Funds are raised through the sale of specially marked dog food. Most retired police dogs continue to live with the families of their original K-9 handlers, but some are adopted out to qualified homes. Now that you're armed with such a broad array of police dog facts, you can look upon members of the local K-9 unit with even higher levels of admiration and respect. The next time you see a dog on duty, you can thank him or her for their service.